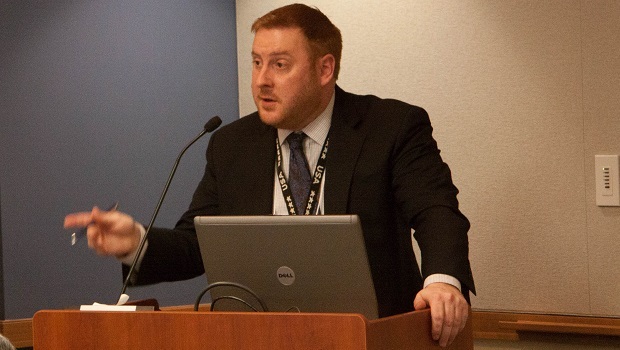 The Center for Data Innovation spoke with Daniel Morgan, chief data officer at the U.S. Department of Transportation (DOT). Morgan discussed DOT’s open data efforts and his expectations for DOT’s ongoing Smart City Challenge. Joshua New: The Department of Transportation was the first agency to proactively publish its enterprise data inventory—a catalog of all of its data sets, both public and nonpublic—before federal agencies were actually required to do so. How else can the government can be more proactive regarding open data? Daniel Morgan: Across the whole of government, we have seen tremendous progress on the Open Data Policy. There are new collaborations in play now, too. For instance, the Office of Management and Budget recently released their draft policy for releasing federal source code. There are a number of other important initiatives, including sharing the results of federally-funded scientific research, which includes both data and code, and increasing the use of administrative data for statistical purposes. As we increase transparency on all these fronts, there’s an opportunity to truly advance collaboration across the federal government. New: In December 2015, DOT announced its Smart City Challenge—a $40 million funding opportunity for a mid-sized city to implement large-scale applications of the Internet of Things and other data technologies. The first round of applications from participating cities were due in February—can you comment on these? Morgan: We were blown away by the enthusiastic response from cities all across the country to the Smart City Challenge. We received a total of 78 applications proposing cutting-edge solutions to reduce congestion, move people and goods more efficiently, and connect residents from all walks of life to jobs, education, and other opportunities. There were a number of specific challenges many cities identified in their applications, including combining and streamlining payment systems, including for those without smartphones; enhancing trip planning services to help commuters make efficient choices; improving bicyclist and pedestrian safety; and coordinating data collection and analysis across smart city systems. On March 12, Secretary Foxx announced seven finalists at South by Southwest: Austin, Columbus, Denver, Kansas City, Pittsburgh, Portland, and San Francisco. The winning city will be announced in June. That said, we are thrilled by the innovative thinking sparked by this challenge all around the country, and we will continue to engage with all 78 applicants—and other cities—as they look for ways to use technology to make their transportation systems more efficient, affordable, and accessible for all. New: A key goal of the Smart City Challenge is to improve citizen engagement, particularly through the use of open data. How would the role of open data differ in a smart city compared to cities at the forefront of open data today, such as New York City or Chicago? Morgan: Several of our finalist cities are leaders in open data, and we will expect the winning city to commit to an open and transparent approach to data for this demonstration project. Many smart city solutions start with collecting new data through sensors, cameras, vehicle-to-infrastructure installations, and other smart infrastructure. This new data can be used by cities in a number of ways, such as to change traffic signal timing to improve traffic flow in real time and give priority to mass transit vehicles, and dynamically manage parking availability, to give just a few examples. By making this data open, a whole new ecosystem will be able to form. We are hoping to encourage the development of new applications to allow people to make better mobility choices and opening up smart city data presents a tremendous opportunity, but it must be balanced against real and significant concerns about privacy and liability. The winning city will be at the forefront of understanding and managing the regulatory, legal, and ethical nuances of generating mobility data at this scale. New: In 2015, DOT began work on building the first publicly accessible national address database in the United States. This seems like a pretty benign and straightforward task—so much so that it may seem odd to some that the United States does not have one already. Could you explain the challenges involved in building this database, and why this data is so important? Morgan: It certainly might come as a shock to people to know that we don’t have a national address database. After all, every time people use a mapping application on the Internet or on their phone, they can drop a pin on any address they type in! The important thing to know here is that those services are powered by private companies that have compiled the information. What’s different about the national address database is that it will be in the public domain. Addresses are created locally—usually by a city, town, or a county, each using a different standard. When you have that many organizations generating and managing the same data, there are conflicts and incompatibilities that tend to arise. Sometimes address information doesn’t get shared consistently with local authorities, utilities, and schools. Sometimes updates don’t get shared in a timely fashion. With addresses being the most common way we identify the location of an emergency it’s critical that we have accurate address information to power 9-1-1 services—including Next Generation 9-1-1. All of these are challenges that we need to address as we work on the National Address Database effort. New: You began as DOT’s first chief data officer in July 2014, joining the very small pool of federal chief data officers—a pool that has not grown very much since. Why do you think so few agencies have this role? Morgan: I think agencies are definitely recognizing the need to focus on how they are using and sharing data. While it’s true that there are not many folks with the “chief data officer” title, it’s also true that agencies are making investments in people who are advancing the management and technical objectives around data. The title doesn’t matter as much—it’s about the work of advancing the quality and utility of all our data for all of our users.